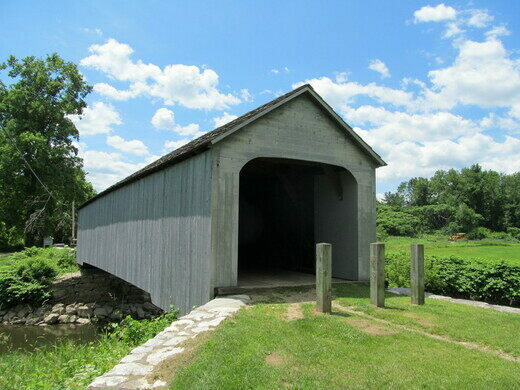 The site of the first "historically true" UFO encounter in the U.S.
Cars are not allowed to drive over the covered bridge in Sheffield, Massachusetts, anymore. Part of the reason may have to do with what happened there on September 1st, 1969, when a station wagon met a UFO. Oldest church in the United States that is still in continuous use. Enjoy an overnight at an old haunted B&B site of the Borden family murders. 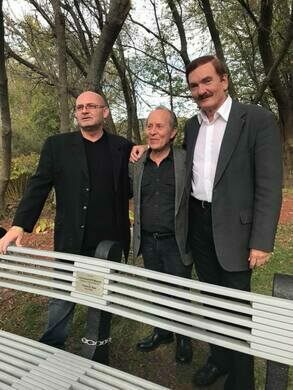 A monument in a town outside of Boston celebrates the visits of Edgar Allan Poe. The 1969 event was not Thom Reed’s first bizarre encounter, but it was the most verifiable. Not only did he and his family encounter the UFO that night, witnesses in four surrounding towns reported seeing it. Those witnesses, though, did not have as close an encounter as Reed’s family. 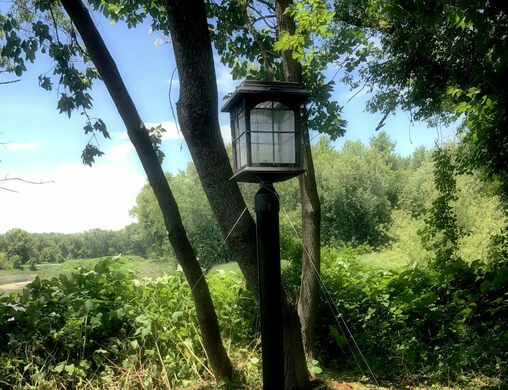 According to Reed, after crossing the bridge, he and his mother, grandmother, and brother saw a bright light rise out of the water of the Housatonic River. They were taken, mysteriously, from their car to what appeared to be an airplane hanger, where they saw creatures that resembled large insects. He was separated from his mother and grandmother and taken to a strange room, though he could hear them calling for him. Then, just as suddenly, they were all back in the car. Forty people reported strange lights and a saucer like object in the sky to a local radio station that night, and when Reed took a polygraph test he was found to be 99.1% truthful. 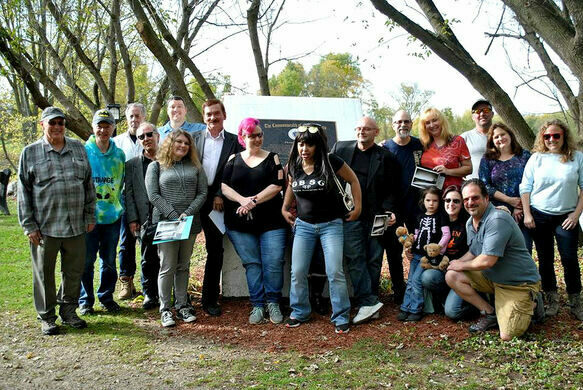 For this reason, the Great Barrington Historical Society voted 6-3 to recognize the encounter as “historically significant and true.” It was the first time a UFO encounter has had this kind of recognition. 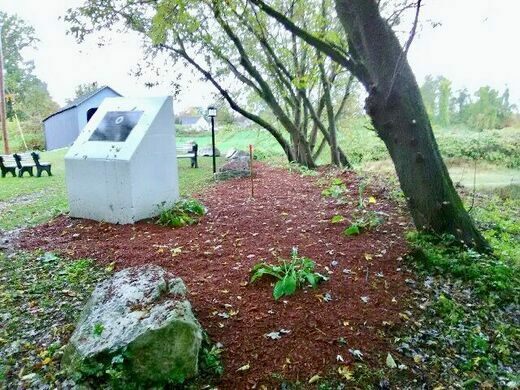 A 5,000-pound granite monument, with a plaque commemorating “our nation’s first off-world/UFO incident” was placed near the covered bridge where the encounter took place. 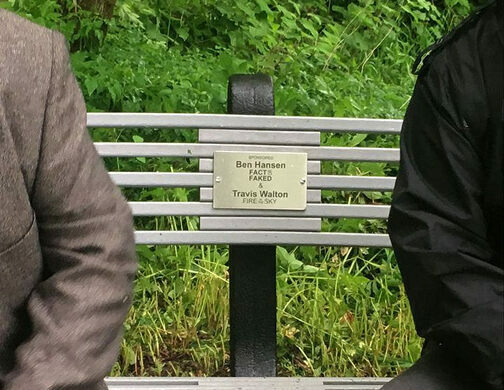 A few solar lampposts and a couple of benches later joined it. 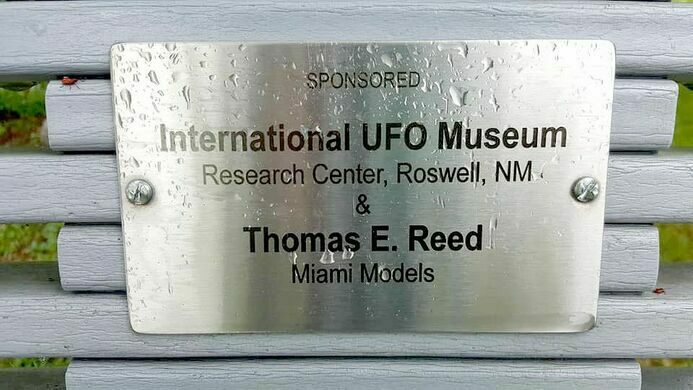 Not everyone in town is thrilled to be known for such a thing, but Reed feels validated by the historical society and the state historians and governor who also officially recognized the encounter as historical, something very few UFO witnesses ever get to feel. There is a place to park cars on the west side of the bridge, the monument and park are on the east side. One of the most scenic falls in Massachusetts has a history of death and grim legend. The highest point in Connecticut was incorrectly memorialized before surveyors discovered the actual spot. Retirement home where the actress who played the Wicked Witch of the West passed away. Stay at this storybook estate, featuring Sir Henry Hudson Kitson's masterpiece "Gingerbread House." The first high-tech company in the valley that actually worked with silicon devices. The geoglyph once sported a glass bottle eye.